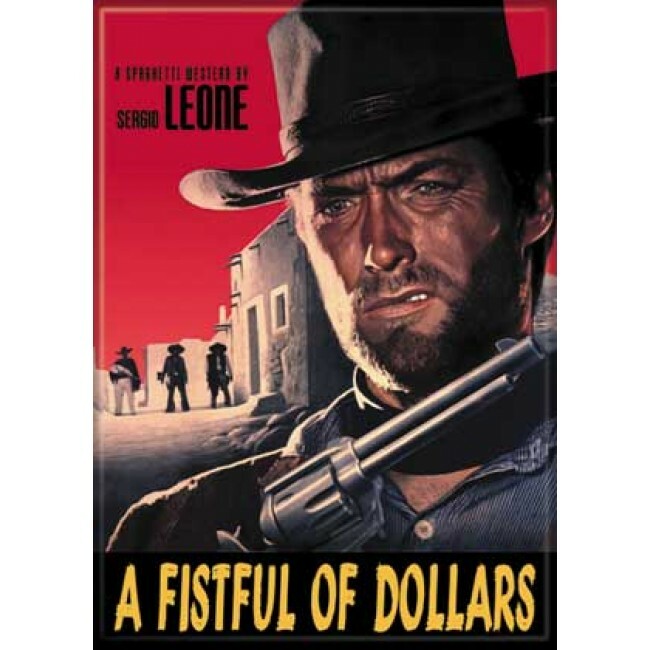 A great gift for fans of spaghetti westerns and Clint Eastwood. This magnet displays the original poster art for A Fistful of Dollars. The magnet measures to 2.5" x 3.5". You're reviewing: Clint Eastwood - Fistful Of Dollars Photo Magnet 2 1/2" x 3 1/2"